ST. PETERSBURG, Fla. — Duke Energy Florida is staging more than 1,200 workers from Florida, North Carolina, South Carolina, Tennessee and Kentucky at three strategic locations to ensure a rapid response to service areas that will likely be affected by Hurricane Hermine. In addition to the original Live Oak location in Suwannee County, two other staging sites have been established in Apalachicola and Monticello, in Franklin and Jefferson counties, respectively. 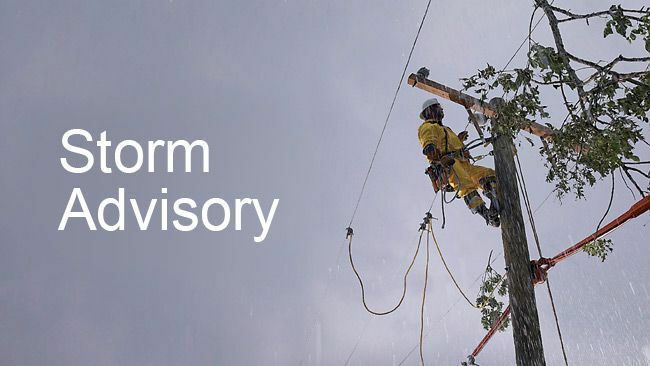 This will allow the resources to be staged near the most likely impacted areas within Duke Energy’s service territories to respond to any outages, downed lines and other emergencies that may occur. The company prepared for the storm in advance by checking equipment, supplies and inventories. Duke Energy has spent more than $640 million over the last five years and nearly $1.4 billion since 2004 maintaining and strengthening its energy delivery system. These investments include trimming trees, replacing wood transmission structures with steel or concrete, and installing grid automation and Smart Grid devices that help to improve service reliability and reduce both the length and number of outages. Despite system upgrades, maintaince and rigorous tree trimming, wind-blown debris can cause power outages. When outages occur for any reason, Duke Energy is committed to restoring power as safely and quickly as possible, while keeping customers informed throughout the process. If rising water threatens your home — or if you evacuate your home — turn off your power at the circuit breaker panel or fuse box. Electric current passes easily through water, so stay away from downed power lines and electrical wires. Don't drive over — and don't stand near — downed power lines. Keep generators outside. Such equipment should only be operated in well-ventilated areas and never indoors. Manufacturer instructions should be followed.